Matt is tough bc I gave him a speech about how he should put his mental/emotional armor on. I did gymnastics extremely briefly and badly, but my kinesthetic memory is strong. The first time I “ran” on land (w M37 at Planet Rehab) I cried (in secret). So I was thrilled that Matt was going skiing, but concerned since he probably hadn’t felt the wind on his face since before the AVM ruptured. I needn’t have worried. He LOVED it. He told me, we were going SO FAST!! And he got to do the steering, although D and D were “encouraging” him to use his left arm so it was a therapeutic exercise LOL. Apparently Matt still has a need for speed. I’ve done this before – given him long email pep talks that he responds to with a single pithy sentence, typed with one finger but saturated with meaning and born from an understanding of Survivorship. I knew I wanted to write about the Ski Trip but hadn’t connected with anyone yet. Last Tuesday Matt posted a pic on Instagram –the colors are superb. The mountains are spectacular. His smile is real. Me to Coach R: Shirley wants to know if you like her new dress. Last Thursday, April 6, was the 5th Year Anniversary of Matt’s AVM Rupture. I call it, Shirley’s Birthday. Shirley is my (FEROCIOUS) Wolf, Ed’s apprentice. Ed needs an apprentice because the next day, Friday, April 7, was his 86th birthday (the 6th Anniversary of my AVM Rupture). This is naturally a difficult time of year. But the last few months have been particularly rough (after I published my Eagle Update) – I realized that I don’t really talk about my symptoms, maybe I should – but I get tired of it. Anyway, I really appreciate your prayers on an ongoing basis. But let me just say that in the midst of trouble, I knew that it’s a basic scriptural principle to see things that are Not Seen. And when I applied myself to this there was overwhelming confirmation of God’s care, protection, and faithfulness – and that all of this TOTALLY fits the pattern of how He does things. (Which is not to say that it’s not scary – because it is – but in a chilling and exhilarating sort of way.) PS. I took a hit around the New Year but I’m getting stronger and stronger. I had been wondering how to “celebrate” Shirley and Ed’s birthdays. It turns out that Dylan and Diahanne took care of it. They got all Matt’s gear to his house the night before and left for the mountain (Mt. Bachelor) at 5am the next morning. Then they proceeded to have what Matt termed as “an Epic Ski day.” Apparently it was totally lit. David setting up mats for my Cartwheel. Randy was totally in favor bc he is a wrestler and I was not asking him to spot me. Trainer D is a gymnast so he was the Chosen One. He didn’t think I was serious but when I wouldn’t let it rest he got the mats out even though he looked rather green in the face. I’ve never seen him sweat like that. I wrote at the end of Trainer D’s book about the time he allowed me to try a cartwheel. (Ch. 15 “Cartwheel” – Vol 2. Learning How to Live.) I compared it to how a dear friend of mine took her son to the beach (he’s a transplant survivor and also has awful shellfish allergies) – she is a surgeon herself and planned out all the emergency routes to the nearest facilities and brought everything she needed to keep him alive long enough to get there in case anything happened. It was important bc he hadn’t been to the beach before, and so much of his childhood was spent as an inpatient getting the transplant that she was bound and determined to give him that experience. She calculated the risk and made arrangements. As a Survivor I have been so grateful that I found David and Randy, who are willing and able to vouch for my safety so I can try things, experience new things, and remember old ones. Okay, so I might have badgered David into the cartwheel thing, but that’s neither here nor there. When Matt posted that pic on Instagram he hashtagged it #beautifulview. That was the part that made me cry. I tried hard to remember the last truly beautiful view I saw. It was in Africa. 6 years ago in the hills of Burundi, when we went on a picnic at a Tea Plantation. While I am learning to manage my symptoms better and better, this means I need to pay attention to the effects of travel on my body. Right now the rule is that I must take a Muscle Relaxant Rx prior to every plane ride and car ride (1 hour+) because travel takes its toll on me more than I’ve been admitting. So for now I am most comfortable within a 30 mile radius of my parents’ house. If I REALLY wanted to go to the beach or skiing, I have an amazing bunch of friends who would make that happen in a heartbeat. But I’ve decided that it wouldn’t be worth it for me. But it warms my heart to know that I’ve got people who would arrange it for me if I asked them. I cannot overstate the significance of someone giving a Survivor an experience. There are very serious concerns that go along with interacting with someone with a complicated health history. It is not a responsibility to be taken lightly. My theory is that the best peeps (like D and R) aren’t thinking of the safety implications at first – they just respond instinctively out of human compassion. But it turns out that they have the knowledge and heart to take on the responsibility. That’s what Dylan and Diahanne did. Thank you so much. PS. we did great on Matt’s Shredded Grace fundraiser. Now we’re looking to the future. I’m working on the vid from one of the events last month. Stay tuned. Meanwhile, go buy the guys’ books. It’s always nonprofit and will help Matt walk again. They are HILARIOUS chronicles of Recovery. I seriously could not make this stuff up. The first time I picked up a kid it was 18 month old Ezra. It was soon after I came home and I leaned against a wall and picked him up but totally overshot bc of lack of spatial awareness and motor control and bonked his little head against a cabinet. I was horrified but he was completely silent and just rubbed his noggin silently and let me hug him. 5 yrs later we were leaving church and little brother P2 wasn’t wearing shoes. (I’ve been on vacation with E and R.) “But Aunty Ning Ning, if I walk on the street my feet will get dirty.” I was the only adult around so I picked Peter up and walked to the car. It was only 30 seconds, but I waited a LONG time to be able to do that. The title of this post is a tongue in cheek reference to many food blogs – it’s a custom for food bloggers to do a WIAW post that chronicles their food. I’m not limiting mine to one day, though. It’s been rather a rough week. But on the upside I haven’t been as nauseous this week as I have been. I think I’m on the upswing! Let me just make sure you understand that I have ALWAYS loved food. It’s just that my body’s first response to stress is nausea, loss of appetite etc. My post-injury relationship with food has been a rocky one – it’s so confusing, eat, don’t eat, eat more, eat less – my body has changed so much I can’t keep track. Well, I don’t really have to keep track because the message has been quite clear for the past several months: EAT. Thank the Lord that my diet is already relatively clean so we didn’t have to do a major overhaul there. Mommy says that in my old life I used to eat twigs and call it yummy. Good thing I didn’t have a Vitamix back then. But the goal right now is to eat more and to do so in appropriate macro quantities (The macro mentality – tracking % Protein, Carbs and Fat – was Trainer D’s idea – I haven’t discussed it with Smurfette yet). At first it was just eat more. I learned really fast that if I fell under a certain number of calories My Fitness Pal sent me a nastygram in big red letters. So within two weeks I was gaming the system so MFP wouldn’t be mean to me. One night I got the nastygram so I took a screenshot and sent it to Smurfette and Trainer D with the note: 5 almonds. Problem Solved. Heh heh. You can be one calorie over and you’re considered “good.” When I self-regulated to the point where I was comfortable Trainer D adjusted my Macro Pie goals (MFP shows your calories in a convenient Macro Pie chart). One of the funniest things for me is to have my Pie tell me that I need more fat. When I do I just go over to Daddy’s chocolate box and eat some of his favorite truffles. Sharing is caring, right? This is my Magical Multiplying Oatmeal. I have been advised to do “Mindless Eating” – you know that thing our culture tells us NOT to do, e.g. you NEVER sit in front of the TV with a bag of chips. Well, apparently Mindless Eating can be a good technique if you’re trying to get nourishment in you but your body is protesting. Problem is that our TV is on the other end of the house from where the food is. One morning I had Greek yogurt and strawberries. Breakfast was going nowhere. So I brought the iPad out and Googled your friend and mine, Chip Ingram. 6 minutes and 23 seconds later, my breakfast was in my tummy. In the evenings I’ve had a harder time eating and swallowing so I have been loving this omelette – egg, cottage cheese and arugula. Thanks, Mommy!! And I have also found comfort in making other people eat things I don’t want to. Example: Languishing bananas no more. Trainer D will eat them! And if he won’t, his friend, Trainer K aka Rowlf will. Side note: Coach R gets Kind bars and natural gummy bears. Gen and CMD get flowers bc of food allergies etc. Ok, it’s almost 5pm (I’m writing Wednesday night). So I’ve got to go downstairs and start eating quickly. In addition to my caloric/macro goals I have retained the old hospital habit of drinking water etc. freely only before 6pm. When you cannot walk to the restroom you learn pretty fast that curbing your liquids at night is advisable. Now I can walk but I still limit my liquid intake. I also try not to eat carbs after 6pm – Trainer D suggested this after talking to me about my sleep patterns. Apparently carbs might have been spiking my blood sugar, which most people are fine with, but can cause sleep disturbances in some (like me). So I have an hour to drink the rest of my Ensure and water, and I’ve also scheduled a whole wheat English muffin and peanut butter. Coach R suggested some complex carbs starting the night before Training. I’m going to go do my duty bc I plan on feeling MUCH better ASAP :). Have a great day! I will, too. I love the bottom right pic in the collage. Sheer delight is written all over that child’s face. Yesterday I was not so delighted with life. But looking at this picture collage made me smile so I decided to post it. I have been coughing for a while but ignored it and called it “allergies” or whatever was convenient at the time. As it started impacting my lifestyle I got a little more concerned – I ate less in the evening (focusing on soft foods) bc swallowing got harder as my body got tireder, carried a little pack of cough drops everywhere, and prayed I wouldn’t cough too much during Training. As a precaution, however, Coach R obligingly carried my lozenges in his pocket and Trainer D helpfully pointed out the nearest trash cans in case I needed to throw up and the closest Trainer within the vicinity “for backup.” On Monday, however, I coughed enough for the first time to have to climb out of the AlterG bubble and take refuge in the locker room for a while. Coach R was working on someone else but heard me cough as I extracted myself and got the full story later. Oh, no – wait – just remembered that wasn’t the first time. The first time was when I was feeling a tiny bit unwell but decided to bump my speed up by 1/2 mph anyway instead of the baby step approach. That didn’t end well. I tried to sneak out unnoticed but Coach R caught me :/. So I finally did what I was supposed to do a while ago and went back to my ENT. This is ENT3 out of 7 (I think). I have had a lot of ENT’s but I’ve seen him the most – 3x now. I saw Dr. S when I first became an outpatient. I was still in a wheelchair and when he asked what brought me in I waved my hand in back of me to where my father was sitting and said airily, Daddy explain. I was in the phase where I was making everyone verbalize what happened so I could verify that their stories matched. Mommy had done it the day before with my old PCP so now it was Daddy’s turn. He looked at me with equal solemnity but with the corner of his mouth turning up in a way that said, We’ve got a live one here, folks! He then said I was supposed to come back within 3 months but I conveniently “forgot” for the next 18. Oops, My bad. Well, I’m running now (with the help of highly trained professionals and a fancy machine) but I’m still having some issues. I dragged my feet on making the appointment even though I was supposed to go for a checkup within a month bc I hated the idea of being the initiator. I knew that if I showed up because of a specific concern I couldn’t do my Coach R impression – the one where I speak with utter finality and insist that I’m so much better we should dispense with these formalities and everyone should keep his hands to himself. So I decided to signal to the market in another way. I clutched Ed Blueberry pathetically in my lap (this was not a studied move, I just held on to Ed bc I wanted to) and after Dr. S numbed me up but before he brought the spaghetti noodle camera out I was like, So there’s no other way to do this, huh? ENT3: No, there’s no other way to asses the vocal cords other than to look at them. Me: Ok, fine. Just checking. So he took a look for what seemed like a very long time, but really he was extremely nice and careful. But this did not prevent me from edging away from him in the chair (he had to tell me to come back a couple times), and as my discomfort grew I remembered how awful it is to not be able to breathe, which did not help me remain calm, and the tears started to squeeze out of the corners of my eyes. See? The running thing totally worked. Right now I’m waiting for my Ensure to solidify in the freezer enough for me to Vitamix it up into an Ensure Frosty. I kid you not – I’m getting good at making Ensure into yummy things. But I already had ice cream today. After I cried at the ENT Mommy took me and Eddie out for fro yo!! At the end of 2014 when things started going downhill but before he called me out, Trainer D started getting in my grill about wanting even more information to feed his data-driven approach to Training and started talking to me about his favorite metabolic rate test – it involves wearing this crazy mask thing that measures your breathing, etc. I held it together while at The Gym but I cried for a week as I struggled with the memory of one of the first times I sat in a chair. I consoled myself by pre-ordering a Fitbit Charge HR (the one that measures your heartbeat through your wrist – you don’t need to wear a chest strap) so I could provide more data if pressed sans mask and when I showed up at the gym again I explained the situation to Trainer D with tears in my eyes. I don’t want to do that test, D…bc I make jokes about thinking I might die during PT but the first time I really thought that I was scared bc I couldn’t breathe and I lacked the verbal skills to tell anybody. I haven’t done that test but now, 5 months later, I did the thing I vowed NEVER to do and got on The Gym’s body fat scale because Trainer D was talking about wanting more data again. I have told both Trainers, I am never getting on your body fat scale, nor will you ever approach me with a pair of calipers. I made this for Coach R’s benefit. Let me just state again that I’m not Training for Training’s sake. That’s the point of this post – I’m not just talking about body fat for kicks, promise. There’s some major method to this madness and as I’ve indicated before, more muscle protects my joints – which are increasingly showing signs of wear since they move in a way that is abnormal. But hey, I am grateful to be moving them at all. 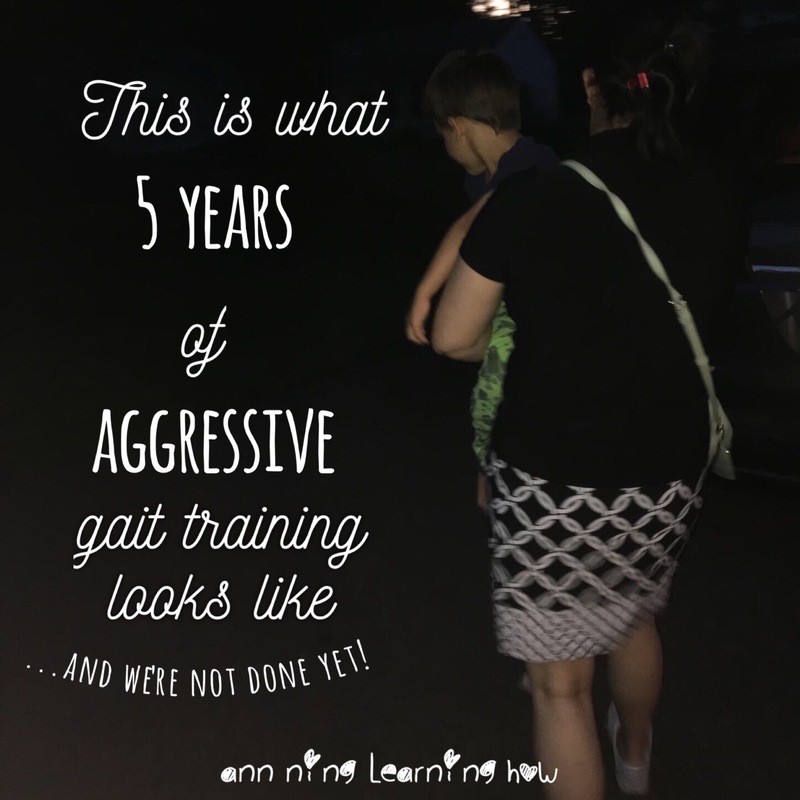 I work hard at this so my voice, vision, stamina, balance, spatial awareness, and overall carriage continue to get stronger. I saw Mrs. P a few weeks ago at one of CP’s big design events. (He’s my friend who inspired the “Food for Thought” Business series.) The event was swarming with people eager to see C’s design, hosted in a beautiful private home, not a public ADA compliant space. But I did it – I survived a rare evening event and it was SO worth it. Mrs. P (C’s Mom) told me how she was hilariously struggling to get her son the artist to look at the pretty spreadsheets she had built for his business, and at dinner she said, You look amazing. Side note: if you haven’t seen me in a few months or more, you see more dramatic changes and your language is likely to be stronger. It’s true – I get a lot of help and invest all my time and money into Recovery so I can do things like go the Design House. I took some squatting breaks bc my hips were bothering me, but I’ve been trained to do what it takes to last longer and move more efficiently, and J told me, You were moving really fast on those stairs. Recently I was honored to speak at the IFI women’s conference – Mrs. D made it easy for me with an “interview” format and predetermined questions. Mrs. R was supposed to be my partner that day and I was SO Excited. Mrs. D didn’t know that Mrs. R and I go way back when she first asked us to do this. Mrs. R was as glad as I was to be asked, but she wrote me a nervous email about how she hadn’t done this before. I laughed and tried to calm her – Seriously, Mrs. R, I knew this sort of life was POSSIBLE bc I watched you do it for over a decade. I kid you not – I knew what this looked like bc I started hanging out with Mrs. R when I was a freshman at Georgetown, and GU was her hospital. She prayed me through undergrad, my early working life, and Business School (and beyond). Thanks, Mrs. R! And at the conference I’m telling you, she was phenomenal. (Side note: she had been hospitalized like the week before, or something.) It was Words of Life on steroids. You can’t speak with Power unless you’ve lived it. And she’s lived it, and I learned about it not because she sat me down and talked to me but because I spent my early adulthood watching. Right before we started I walked down the center aisle caneless. I saw myself like in a movie – I could hardly believe I was really walking, but I made it safely to the front and sat down. Later, I told the group – No one told me I had to run. I decided to do that by myself. And THIS is why I do it. The ability to participate in events like this and have the mental stamina to prepare appropriately is exactly why I pursue Recovery aggressively. But my life isn’t spent just “waiting” for the next event. Every day there are small triumphs and things to look forward to. Last week I cleared the dishwasher in the morning. I do my best physical work soon after waking up. Still, I had to do it in installments, and I had to practice my breathing and bracing bc my back was getting grumpy. But as I took the last dish out of the bottom rack I smiled knowing that Mommy wouldn’t have to do it later. She spent enough time picking nuts and berries out from under my wheelchair cushion and washing my hair for me, etc. It’s taken some time but now I can do more – so I smiled again and thought, THIS is why I do this. Ed and I flying out of PDX on his birthday, 4.7.14. I like to wear this shirt at the airport to make the TSA people nervous :). It is increasingly apparent that I can’t hide things from my people anymore. 1) I can’t keep Trainer D from keeping that ridiculous mental calendar of his that measures the cadence of my physical bumps in the road. 2) Coach R oscillates between calling me out without reservation and asking searchingly during Stretchy Time, How was your run? When I KNOW he saw me limping, or coughing, or walking really slow a few minutes earlier. 4) CMD spent a lot of time working on my nausea and digestion points and told me at the end of the session that when I was just talking to her in her office at the beginning she could tell I really wanted to throw up but didn’t. Right…..so about that game face. When I told CMD about the PTSD she was NOT pleased. We were talking and she held one wrist to take my pulse, and then she switched to the other side, just to check. She had been not pleased for a while because she had seen my stress building and my physical situation going down hill. One day, prior to my diagnosis, i.e. before I knew that my distress had a name and could be treated, she broke down the situation for me. I was lying face down on the table – she took my left hand and guided it to the hole in my head and made me feel it. See? She said. It is so much smaller. You should think encouraging thoughts. YOU ARE GETTING BETTER. Good thing I was face down bc I almost burst into tears right then and there. She was offering physical evidence that I should be encouraged and I was moved by her kindness. Still, I was totally grossed out by the hole in the head thing and managed to pat it gingerly and then extract my hand and tuck it back in place as quickly as possible. Some amount of closing was to be expected after they didn’t replace that piece of skull, but CMD wasn’t expecting this much. So now she continues to paint my head with herbs and says she’s “greedy” for more. I go to her (and all of Team Tanimal) because God knew I needed people with extremely high levels of professional expertise and equally strong EQ’s (Emotional Quotients). As I get better I love having the extra margin to do what she did for me – to be a Barnabas and encourage other people. Friends have asked me how I can manage to be interested in other people’s problems when they are so different from mine. My answer is that if you care about a person, you automatically care about their struggles, so it comes naturally. And as the Lord gives me the grace to navigate my own issues, I like to talk about what concerns my friends bc that’s what friends do – we don’t have to soldier on all alone. 477. Hey, Mommy – Look what I did! Hey, look what I did – I got the mail all by myself last week!! This has been the work of about a month. I started asking Mommy around Ed’s birthday if I could practice my walking alone outside bc it’s nice out now. I have been asking for 3+ years, and I thought the 4th year might do the trick. Answer: no. But I did get to walk a bit that afternoon bc Daddy was fixing the garage door so technically someone was outside with me. It was soooo funny – every three minutes I saw him peeking around the bushes to verify my location and that I had not passed out. But last week I just announced, I’m going to go get the mail, and no one stopped me! It helped that Mommy was busy preparing dinner. This is the upside of using Leo less bc my arm has been hurting so much: My gait is more confident. Re: I’m making the reception desk nervous. This morning’s funny: I just walked into [the big Med facility] w Mommy for her checkup. I went straight to the waiting room. Mommy just sat down and told me the receptionist saw me walk by and was extremely concerned and wanted to call a wheelchair. Sheesh. I thought I looked pretty good today, too. Ps this happens routinely. It really does happen routinely. I forget what I look like but it’s quite shocking to strangers when they see me approaching. E.g. when Ruthie and Ernie had Peter, their youngest, we went to the hospital and we got dropped off at the entry. I didn’t bother bringing my cane and when the front desk saw me walk in, clinging to the non-sliding part of the door, they were a little appalled and couldn’t get me into a wheelchair fast enough. I wanted to ride in a chair since I knew the interior walk to Ruthie’s room was long, but it was a really wide one and wide ones aren’t as fun bc your arms won’t comfortably reach the rims to make the wheels go where you want them to. Daddy pushed me. Thanks, Tanpo!! Meanwhile, last time I was online I told you how Trainer D kicked me out of the gym. I didn’t sign up for this, I told Coach R during Stretchy Time. This is me being grateful, I deadpanned, pointing to my face – which was contorted into an expression I fondly hoped conveyed appreciation. “I can see that,” he said wryly. Honestly, I didn’t even want to tell Coach R about it but I felt like it fell under the category of Safety Issues I’m supposed to be disclosing. Still, it was a real struggle for me to come to the point. We had to play a couple rounds of the Movie Line Recognition Game before I felt okay enough to dive in. Well, it was all for naught. After a two-week break, Trainer D told me (after I pressed him) that he wasn’t serious about cutting me off. (!!!) ARGH. I was incredibly frustrated with him but so relieved, too, that I promised not to be mean(er) to him (than usual). He was serious about the cyclical physical deterioration but he’s just going to adjust accordingly. Side note: he missed my shenanigans while I was traveling. I’m all, Shenanigans? I know not of what you speak. Trainer D almost fell out of his chair with glee when I showed him this list. Please plan accordingly. Consider yourself officially informed. I talked to Coach R “live.” It’s a good thing I did my duty (the assignment was to make sure protocol was locked in and ready to go in case anything happens), I told him a few days later, because I was RIGHT – I totally DID get asked if I did my homework. Booo…All this talking about feelings is awful. But I’m told it’s part of healthy healing. So that’s what’s been going on in my world. Business as usual, except I’ve been working on a special project while I’ve been on break. All the PTSD flashbacks started happening so fast and so often, and I’m remembering all this stuff I didn’t want to remember so one night I got fed up, and was like, FINE. I’m gonna put this to music. It’s a special video I made to thank my medical peeps and I think you’ll enjoy it, too. It has been very well received by my Focus Groups and I’ll share it on Wednesday. Adieu! I was in a lot of pain last weekend. It was stress-induced, I think – not helped by my strength training regimen, but mostly sympathy pains bc Coach R is having some shoulder issues he’s ignoring. I told him I should do the Vulcan Death Grip on him and put us both out of our misery. Problem is I don’t know how to do the VDG. Maybe Gen can teach me. So I suffered all weekend and felt better enough in the morning to take it out on Trainer D first thing on Monday, after which I tried to play it cool with Coach R, but then was so annoyed at my lack of “running” stamina I relieved my feelings by sending him one of my hilariously passive aggressive emails and hoped that it would make me feel better. Still, I’ve avoided writing this post, bc it’s pretty bold – like 395. Well Suited. After I wrote it and transitioned to the Full Disclosure Model with my peeps I took a major physical hit. Well, although I’ve been feeling GREAT lately I’ve acknowledged that the physical situation is deteriorating rapidly (speed bump! I’ll tell you about it next week) so I figure I might as well go all the way and write this, although I fondly hope the physical situation will right itself ASAP. So here we go: When this happened to me I lost a lot of things. I owned pretty things – not super high-end stuff, but things I liked well enough to still miss. When I saw which way the wind was blowing, the things I still had a fingertip hold on I decided to lay down and pretend like that was my intention all along. Example 1: for 3 years I pawed through my belongings mentally and thought, When I get this back…. But at a certain point in Oregon last year I threw a “souvenir” back in the box and said, I don’t need any of this. I dismissed entire boxes that were still sealed with packing tape. After we went to OR I landed at Boo Boo’s house and actually thought about what happened. One morning I came to the kitchen and cried on Mommy’s shoulder: Boo hooo!! My pretty things. Poor Boo Boo relieved her feelings by banging some pots around on the stove. She told me later, You did it smart, Ning – you made a clean break. It wasn’t what I had wanted, but I agree – ultimately it was a smart move. Example 2: My name. Are you confused by the Ann|Ning thing (FAQ)? An old friend from B school contacted me via my website and called me “Ann.” He was relieved when I told him to please keep calling me “Ning” even though I thought it was really sweet of him to use “Ann” since he thought I might prefer it. Please – it’s totally cool for you to call me what you’ve always called me, or you can choose the name you’re most comfortable with. It’s fine. The thing is that Shady Grove “The Place” was the first hospital I arrived at awake. I wasn’t used to people talking to me directly and lacked the vocal strength to tell them, My name is Ning. So they called me “Ann.” It is my actual name, after all, and I like it – it’s just that I never used it until now. So my name was something I laid down intentionally, too. I’ve embraced the usage of “Ann” – it’s kind of my Medical Alter Ego now. I embraced it to the point where I told myself, It doesn’t matter. It’s not important. But it kind of does matter. Yesterday I told you I’ve had a hard time believing that the Land of the Living is for me. That’s one of the reasons I insist on being identified with the Disabled Community – they were the first ones to make me feel welcome here and to tell me that there are workarounds to get stuff done even if you’re living with XYZ and things aren’t like they used to be. It’s a function of my time in The Valley and the strange waking up process. 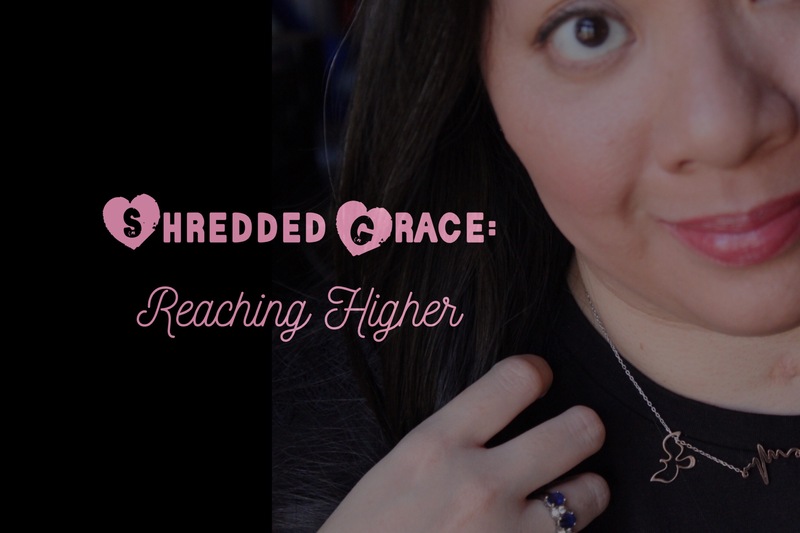 The last couple of times I spoke publicly about How I Found Grace in The Valley I emphasized at the end that This Disabled Life is not all drudgery. There is stuff that has happened that is so good that I can’t talk about all of it still bc it makes my teeth hurt and I’m afraid they might fall out of my head entirely. I joke that the Lord had to do something SO drastic to keep me out of Africa bc I am so thick-headed about these things that I probably wouldn’t get the memo unless He did something as serious as putting me in a wheelchair (even so, it took me another 6-8+ months to concede the point post injury). In the same way, I’m super thick-headed about good stuff, too. But God, in His mercy, persists in giving me extremely kind and obvious “post it notes” to remind me along the way that even though this is crazy, it’s okay because He’s taking care of me. These circumstances, like my injury, are way too pointed to be considered coincidence. This summer when I was still feeling great I was in the Gym’s café buying some “Brain Juice” (EPA/DHA) and told Trainer D as we stood in line, I didn’t know this [feeling of wellness] was for me. A minute later I said, My chi is so strong right now, you have no idea. I can feel it, he contradicted. As I walked to the lobby I told him, I’ve decided that we’re calling this “healthy,” so I need you pony up and play along. There have been lots of ups and downs since we had that conversation, but the main thing I’ve clung to is my statement, I didn’t think this was for me. “This” = The Land of The Living. I’ve realized that I don’t constantly have to grit my teeth and brace for impact. Yes, my feelings have been hurt beyond the scope of “normal” human interaction as a byproduct of this lifestyle, but it pales in comparison to the goodness I’ve received from the gentle care of the Good Shepherd (who, btw, knows and cares about my hurts). It’s just that part of my Recovery has been to learn to be willing to receive. This is still a process, and I’m at the very beginning – but I want to state for the record: my cup runneth over (Psalm 23.5). Posted in Living Disabled-Style, Things that help me recover, This wasn't an accident. I’m feeling so much better now that I’ve got my new doc and Smurfette looking out for me that we’ve moved into a new phase of Recovery. Trainer D was the one who informed me that now that his wife was presiding over my fuel he was really going to push me. He wasn’t kidding. I hit a new “running” milestone last week and was rewarded with an excruciating set of lunges the next day to strengthen my running gait. It was 4 sets of 10, actually (on each side) – so I was dripping sweat by the 80th and am still sore. I got to hold on to a bar for balance but weight-bearing was a no no and he was not in the mood to let me rest in-between sets, either, which wasn’t fun. I rested anyway after the first two. So there. Earlier that week I had a physical. I managed to stand on their special scale that tells you all sorts of appalling information you’d rather not know about yourself bc the nurse slid it close to the wall and put her hand out to guard me just in case. Then I had to hold on to this metal thing for what seemed like forever – I watched the computer screen to see the bar approaching the “finish” line to see how much longer I had to stay on. I was sweating bullets then, too. Over 3.5 years post injury I can finally stand well enough to have my height measured. I shrank. Maybe my bones settled differently or something must have happened bc I lost ¾ of an inch. My BMI just got worse. Oh well, that’s how the cookie crumbles. That reminds me. When Doc was reading Smurfette’s memo she was just skimming and reading out loud. All I heard was the word, “cookies.” I was like, Booooo. Although Smurfette assures me cookies are okay for me, but just not in mass quantity. I’d like to remind everyone that I was raised by Baker Smurf. 439. Thanks. PS this is YOUR fault. The tiger is showing his stripes. The muscle memory he regarded with eyes wide a month ago is now simply a reason for him to expect more. The ridiculousness of the name set me off. When the laughing subsided he explained the rapid succession of A and B I was going to repeat for a while. In the middle of A I realized I was extremely hungry and that I should consider eating a bigger breakfast on the days that I “run.” I mean, my Ensure mocha is delicious and all, and I pair it with some oatmeal or a GF waffle, but I have to think of what else to add. We then talked about what would happen if I came in to the Running Gym for several hours at a time as is the custom for some. I’ve been amusing myself by thinking of the possibilities since then. It would be great. If I planned on a 3 hour session the first two would be Coach R’s and I’d do whatever he said. This is what happens anyway. But the 3rd hour would be mine. Coach R has a lot to learn. We’d better get started. I explained to him that if I were in charge we’d do things differently: That’s how we play it in Acute Care. Just kidding. I just said, This is what earlier stages of Recovery look like – none of this running around, jumping and squatting business.